These upgraded suites are conveniently situated near Century Park LRT station. Between 34th Avenue and 23rd Avenue just off of 111th Street. In the established neighborhood of Blue Quill. Meadowview Manor is a family friendly community. Easily accessible to public transportation. Receive up to $3,00 off on select suites. Upgraded suites with modern finishes that include the essential fridge, stove, dishwasher and spacious storage rooms inside the suite and on the balcony. 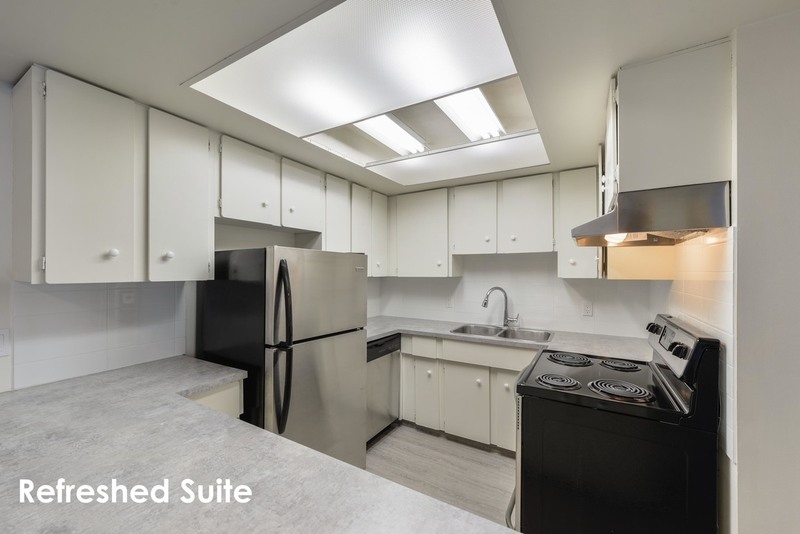 Suites have heat, water and energized parking included in rent. 1 and 2 bedroom suites available. Meadowview Manor is in Blue Quill located between 34th Avenue and 23rd Avenue, West of 111th Street. Walking distance to Saddleback strip mall and Century Park LRT Station. This family friendly community is just down the road from the YMCA and Heritage Village. A short commute away from South Edmonton Common, Calgary Trail & South Park Shopping Centre. Easily accessible to public transportation. Pets are welcome with a $25 monthly pet fee (per pet) pending approval of pet application.